If you’re spending your vacation in Italy, think of a trip to the Amalfi Coast as a “vacation within a vacation”. Glittering seas, plummeting cliffs, and cobalt blues skies are only some of the reasons to add the gorgeous Amalfi Coast to your itinerary. The Amalfi Coast (or “Costiera Amalfitana”) is a 50km stretch along the southern side of Italy’s Sorrentine Peninsula. From the 9th to the 12th century, Amalfi was a true maritime superpower. However, for many years afterwards (after being plundered by the Republic of Pisa), Amalfi was economically weak, and its remote villages suffered from numerous earthquakes and landslides. Ironically, it was the isolation that these villages offered which began drawing in the tourists starting in the early 1900’s, and it wasn’t long before Amalfi became one of the hottest destinations in Italy, attracting everyone from international jet-setters, backpackers, and couples looking for a romantic weekend getaway. The Amalfi Coast has also been declared a UNESCO World Heritage Site for its breathtaking beauty and unique landscape. The mountains plunge steeply into the sea, resulting in gorgeous bays, quaint coves, and small pebble beaches. For many, the biggest reason to head to the Amalfi Coast is the town of Sorrento. Edged with cliffs that tumble into the sparkling waters, scented citrus groves, and picturesque whitewashed villas, Sorrento is a true European gem. (Don’t forget to try its famous limoncello!) Photographers, meanwhile, head to Positano, one of the most stunning towns on the Amalfi Coast. The houses are a rainbow of pastel colors, and the almost-vertical streets are filled with quality restaurants, classy hotels, and bright shop displays. If you’re looking for a great day-trip, consider visiting the town of Amalfi. A frightening earthquake in 1343 eradicated most of the town’s historic buildings, but today Amalfi is the perfect place for seaside walks and lingering meals by the water. The most popular activity on the Amalfi Coast is simply walking (or climbing, in some cases) around the towns and taking in the beautiful sights. Ravello is a good starting point for many walks, and offers historic paths that take walkers through the nearby Lattari Mountains. You will, of course, want to set aside plenty of time for dining; there is no rushing through meals on the Amalfi Coast! Seafood, pasta, roasted red peppers, pizza, spicy salami… Amalfi is a true foodie’s paradise. In fact, you may even want to consider taking a local cooking class; there are many offered in the area. The coast is also known for its wine (the region grows grapes that are almost entirely exclusive to the Amalfi Coast), so make sure to set aside some time to enjoy a glass after a long day of sight-seeing. If you’d like to enjoy the waters surrounding the coast, consider taking a boat (they can be rented or chartered) to one of the nearby swimming areas; most of the beaches in town aren’t ideal for swimming. The best time to visit the Amalfi Coast is late spring or early autumn. Summer also offers great weather, but it can become quite crowded, and prices do go up. High season is generally April to October. If you’re averse to crowds, consider visiting during the winter season; temperatures are still comfortable, but some hotels and restaurants do shut down for the season. If you’re travelling by public transportation, options include the bus (the Italian service SITA is quite efficient) or boat, but the most convenient option is the train. 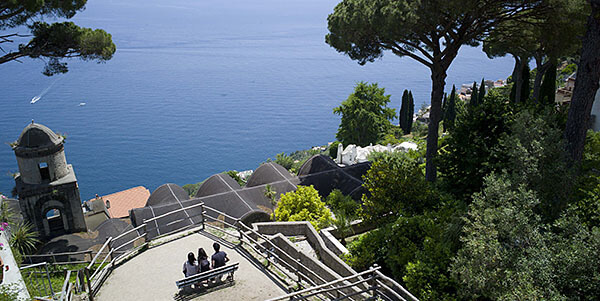 Rail Europe offers rail tickets with Trenitalia, which is Italy’s national rail network, and offers well connected train travel throughout the country, including the Amalfi Coast. Salerno, Sorrento and Vietri sul Mare are three Amalfi towns that have their own train stations. Last updated by jack on 18 June, 2014 in Travel.